Casas Espania is comprised of professional real estate agents in Torrevieja - Costa Blanca, who will help you at all times to find the home of your dreams. From the first contact that is forged between them, our employees will care about you so that you can be satisfied and proud of having trusted in our real estate services. To fulfill the objectives of our clients, our real estate agents in Torrevieja will be responsible for studying every detail that the client asks for their future home to include. We offer a wide range of properties for sale on the Costa Blanca, so that the client does not lose much time to enjoy their home, our agents will recommend the best option, based on your requests. Despite the fact that Casas Espania has been in force for 6 years, our agents have been working in the real estate sector for more than 70 years, for which reason we have extensive experience in the sale of real estate in the southeast of the country. Our real estate agents in Torrevieja - Costa Blanca provide you with some of the main qualities that you can enjoy in your home, if you trust our real estate agency. 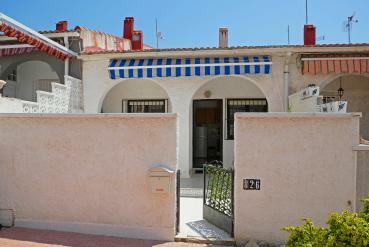 In Casas Espania you can choose to buy a property that has a private pool. The climate on the Costa Blanca South is popularly known for its warmth and stability. The temperatures are ideal to enjoy a fantastic pool in your own home during a great part of the year. If on the contrary, you prefer that your property is very close to the beach because you love the sea, our real estate agents in Costa Blanca offer you incredible properties on the beachfront. Casas Espania invites you to come and meet our real estate agents in Torrevieja - Costa Blanca at Calle Bizet Shopping Center, Local 6 La Siesta - 03184 Torrevieja (Alicante). If you prefer to call them by phone or send them an email, you can do so by dialing 0034 966 785 202 or by writing to info@casasespania.com.